– Conseslus Kipruto talking after running the final 6-plus laps of the men’s steeplechase with just one shoe and still winning the DL final. 1:47.67 HSer Josh Hoey turns pro - Thoughts? Losing weight after age 30... is the only solution to starve yourself? LRC Legendary Company: Selemon Barega Runs 12:43 (#4 All-Time) In Brussels To Join Bekele, Geb & Komen In The Sub-12:45 Club What a spectacular race. We hadn’t seen a sub-13 all year and now 18-year-old Selemon Barega has run 12:43.02 – only Kenenisa Bekele, Haile Gebrselassie, and Daniel Komen have run faster. LRC 2018 Memorial Van Damme Full Recap: The Diamond League Season Comes To An End In Fine Fashion What a way for the season to end. A 9.79 100m win for Christian Coleman, a thrilling win by Laura Muir and more brilliance from Emmanuel Korir and Beatrice Chepkoech. MB: Christian MF Coleman! 9.79! I never doubted you, bro. Never! If you adjust for wind, it was better than the AR. Usain Bolt Made His Pro Soccer Debut Today (Video) He nearly had a goal in the 6-1 mismatch. Don’t Forget ISTAF Berlin Is Sunday – Caster Semenya And Timothy Cheruiyot Will Be There At the meet, Robert Harting and Kim Collins will also both call it a career. *MB: Where the heck is Centro and why isn’t he racing Timothy Cheruiyot in Berlin on Sunday? Asian Games Final Day Recap: Qatar Ends Meet In Style With 3:00.56 4 X 400 Meet Record Kalkidan Gezahegne completed the 5,000/1,500 double. Oregon Men Take A Hit 1:47.67 HSer Josh Hoey Turns Pro And Joins Terrence Mahon In California Instead Of Going To Oregon Why a 1:47 guy would want to go pro is beyond our comprehension. Oregon Women Get Better Oregon Quickly Recovers From Rainsberger And Burdon Transferring Out As Two Top-15 NCAA XC Finishers TRANSFER IN In the game of transfer musical chairs, the Ducks end up winners as 2017 NCAA XC 5th placer Weronika Pyzik and 15th placer Isabelle Brauer have announced they will follow coach Helen Lehman-Winters to UO. 2018 Men’s DI XC Preseason National Coaches’ Poll NAU, BYU, Portland and Stanford top the list. Not too surprising as those were the top 4 teams at NCAAs last year. 2018 Women’s DI XC Preseason National Coaches’ Poll New Mexico, Colorado, Stanford and Oregon top the rankings while last year’s #2 San Francisco is down in 30th. October 21 Wesley Korir’s Little Brother John Is Excited To Be Racing October’s Scotiabank Waterfront Toronto Marathon The 22-year old debuted last year in 2:09. 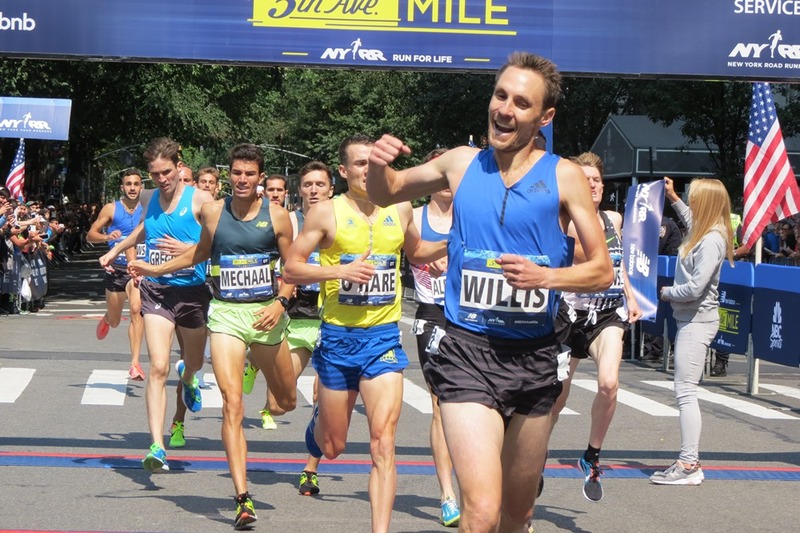 September 9: 2018 New Balance 5th Avenue Mile Fields Released – Fields Include Simpson, Centrowitz And Willis, But Not Shelby Houlihan Simpson and Willis will be looking to make history as if they win it will be titles #7 and #5 respectively. September 16: MB: 2018 Copenhagen Half Marathon – WR Attempt – Galen Rupp confirmed as he goes for the AR! Greatest Half Marathon of all time? September 8: Laura Muir Will Run The Mile At Great North CityGames The men’s mile has former Olympic bronze medallist Abdelaati Iguidar vs GB’s former Euro 800m silver medallist Michael Rimmer. September 8: Europe Names Team For The 2018 Continental Cup Jakob Ingebrigtsen is in the 1,500 and his older brother Henrik in the 3,000. Sifan Hassan highlights the women’s distance team in the 3,000. Asia-Pacific Team Announced For IAAF Continental Cup Aussie distance couple Ryan Gregson and Genevieve Lacaze are both on the team. Asbel Kiprop Publishes Video Of Him Making Out With His Pacemaker’s Wife As He Thinks The Pacemaker Set Him Up For EPO Bust 2008 Olympic champ Asbel Kiprop has published a salacious video of him making out with his pacemaker’s wife. Those in the know think Kiprop did so in retaliation for the pacemaker setting him up for the EPO bust out of anger for the affair. The woman has sadly tried to commit suicide. First WADA Approved Lab In East Africa Is Set To Open In Nairobi This will be big for African testing as samples will no longer need to be transported to Europe or South Africa. This will allow for more blood tests which previously were extremely difficult. Athletics Integrity Unit Confirms Kipyegon Bett’s EPO Positive Not surprisingly, GB 800m runner Kyle Langford (the runner Bett beat out for world bronze by just .04) hasn’t reacted too happilly on Twitter. Sandi Morris About Demi Payne On Twitter: “Well, I KNEW – but now it’s no longer just a suspicion.” She and Katie Nageotte had a brief exchange where they lament losing NCAA titles/records and a world team place to Payne. 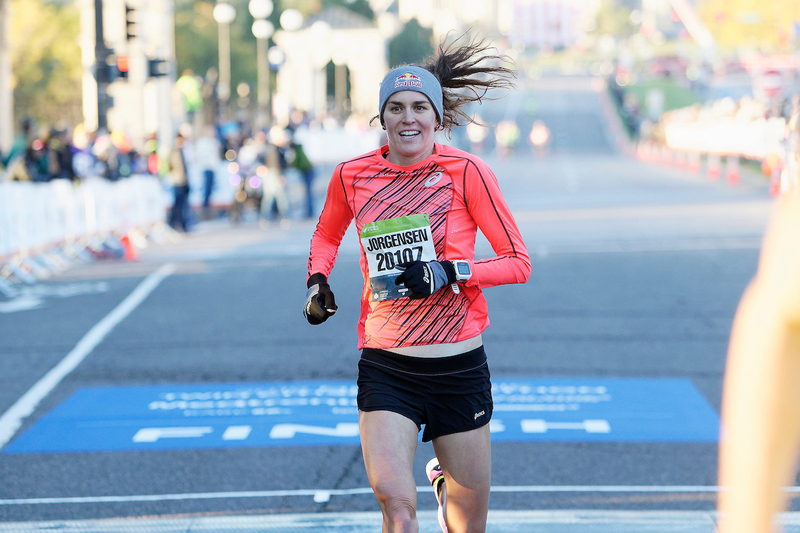 American Field Announced For 2018 Chicago Marathon – Gwen Jorgensen Leads The Additions The fastest additions on the men’s side include Elkanah Kibet (2:11:31), Tyler McCandless (2:12:28), Aaron Braun (2:12:54) and Kiyra Dandena (2:12:56). Kenya’s Titus Ekiru (2:10:38) And Ethiopia’s Etaferahu Temesgen (2:40:10) Win Mexico City Marathon Keep in mind that Mexico City is at altitude (7,300 feet). Japan’s Ayuko Suzuki (2:28:32) Wins Hokkaido Marathon In Her Debut Naoki Okamoto won the men’s race in 2:11:29. 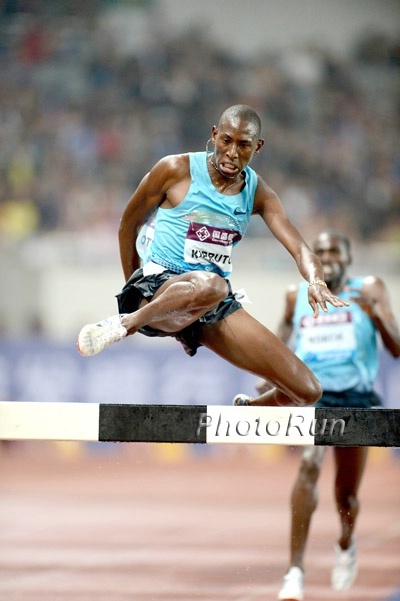 LRC Conseslus Kipruto Unleashes Furious Kick To Win 2018 Diamond League Steeplechase Final With One Shoe! In a heroic performance, Conseslus Kipruto ran nearly the whole race with only one shoe. It didn’t matter as he dug deep and won the DL title and $50,000. LRC 2018 Weltklasse Zürich Full Recap: Noah Lyles And Caster Semenya Remain Perfect As Hellen Obiri And Luvo Manyonga Earn Narrow Wins We recap all of the action for you from the first of two DL finales in Zurich. LRC $20,018 LRC Running Warehouse Diamond League Finals Prediction Contest Scores Check your scores and change your picks for Friday here. Official 2018 Zurich DL Live Discussion Thread – Will Jager break 8:00? El Bakkali: why was he crying? That’s what we were wondering. Does Evan Jager just not have the fire? Tone Deaf The IOC iIs Going To Upgrade Two Russian Dopers To 2012 Olympic Silver Medals In The 800 And 1,500 Even though the IOC in the past has not automatically upgraded dopers, Ekaterina Poistogova and Tatyana Tomashova will be upgraded to silver despite the fact that they’ve since been banned for doping. LRC Ranking The Distance Races At The 2018 Diamond League Finals From Least To Most Watchable Can Caster Semenya break the WR, Evan Jager break 8:00, can Coburn or Frerichs break 9:00, will any man break 13:00, can Sifan Hassan complete the 1,500/5,000 double? Those questions and more will be answered on Thursday and Friday. LRC 6 Non-Distance Events We’re Hyped For At The 2018 Diamond League Finals We hope you have some free time on Thursday and Friday (2-4 PM ET) as it’s one of the best days of the year for track and field fans. LRC The Votes Are In And These Are The Favorites In All The Running Events At The Diamond League Finals Shelby Houlihan is picked by 74% of voters to win. That’s actually the second lowest win % for a women’s running event. Australia’s Brandon Starc (2.36m) And Lithuania’s Airine Palsyte (1.94m) Win Famous Eberstadt High Jump Meeting In Germany Italy’s former world indoor champ Gianmarco Tamberi impressed with 2.33m for second in his highest jump since coming back from his tragic ankle injury of 2016. The Top Three Moments From Zurich Diamond League History Performances from Mo Farah and David Rudisha top the list. August 31: Brussels Diamond League Provisional Entry Lists The 2018 DL season is over on Friday. World 800m Bronze Medalist Kipyegon Bett Tests Positive For EPO Bett was already provisionally suspended for failing to submit a sample earlier this month. *MB: Down goes Demi Payne!!!!!!!!!!! IAAF Vice President Sergey Bubka Cleared Of Making Suspicious Payment Bubka was being investigated by the Athletics Integrity Unit for making a funds transfer to a company linked to banned former IAAF treasurer Valentin Balakhnichev, but it was concluded that he didn’t break any rules. LRC The Secrets Of The World’s Best 1500-Meter Training Group: How Elijah Manangoi, Timothy Cheruiyot, & Coach Bernard Ouma Turned Rongai Athletics Club Into A Powerhouse The world’s best 1,500-meter training group trains under the direction of a karate master-turned coach (Bernard Ouma) and they regularly dodge giraffes and even an occasional leopard in a National Park in their quest to be become champions. Sifan Hassan Isn’t The Only One Trying The DL Double Dafne Schippers will do the 100/200 and Ibarguen will do the TJ/LJ. The Cash Is Nice, But Keni Harrison Really Wants To Win The 100h DL Finale On Friday To Get The Bye Into Worlds Personally, we think she needs to learn to run with pressure; otherwise, 2020 is going to be super nerve-wracking. Ivory Coast’s World Silver Medalist Marie-Josee Ta Lou Wants To End The Jamaican And US Sprint Supremacy You have to go back to the early 2000s to find the last time a woman not from Jamaica or the US won World or Olympic 100m gold (no African has ever won a World or Olympic 100m title). Which Athletes Have Made The Most Prize Money This Diamond League Season? Qatar 400 hurdler Abderrahman Samba is #1 right now with $62,500. Noah Lyles ($48,000) and Sam Kendricks ($46,000) also make the top 10. IAAF’s Top 3 Moments In Brussels’ DL History Aries Merritt’s 12.80 world record in the 110H tops the list of three all-time great performances. IAAF: China Takes Four Of Seven Gold Medals On Fourth Day Of Asian Games Xie Wenjun led the way defending his 110H title in 13.34 and Wang Chunyu took 800m gold in 2:01.80. Other distance winners were India’s Manjit Singh in the 800 (1:46.15) and Bahrain’s Kalkidan Befkadu in the 5,000 (15:08.08). JRN: Japanese Highlights From Asian Games Day 4 Shunya Takayama was the only medal of the day with bronze in the 110H. IAAF: Three Meet Records Go Down On Day 3 Of Asian Games, Led By Qatar’s Abderrahman Samba’s 47.66 In The 400H Iran’s Hossein Keyhani set the men’s steeple Games record with a 8:22 victory while Bahrain’s Winfred Yavi won the women’s steeple comfortably in 9:36. 10 Jamaicans Named On IAAF Continental Cup Team They’ll have some distance runner representation from Aisha Praught-Leer and Natoya Goule. 2019 IAAF World Challenge Schedule Announced The series begins with the Jamaica International Invitational on May 4th and ends in Zagreb on September 3rd. China’s Su Bingtian Sprints To Asian Games 100m Crown In 9.92 Bingtian set a meet record to win well clear of Qatar’s runner-up Tosin Ogunode (10.00). Bahrain went 1-2 in the men’s 10,000 with Hassan Chani winning in 28:35 over World Half Marathon silver medalist Abraham Cheroben (29:00). Bahrain’s World Champion Rose Chelimo Wins Asian Games Marathon In 2:34:51 She won comfortably ahead of Japan’s Keiko Nogami. India’s Tejinder Pal Singh Breaks Asian Games Shot Put Record With 20.75m Victory Kyrgyzstan’s Daria Maslova kicked to a 32:07.23 victory in the women’s 10,000m. Hiroto Inoue Wins First Japanese Men’s Asian Games Marathon Gold In 32 Years Inoue won in an intense and somewhat physical finish with Bahrain’s El Hassan El Abbassi as both had identical finish times of 2:18:22. Yuki Kawauchi Talks About How He Actually Didn’t Like Running When He Was Younger Because He Had Frequent Injuries He says it wasn’t until he was in college and became less injury prone that he actually started to like running. 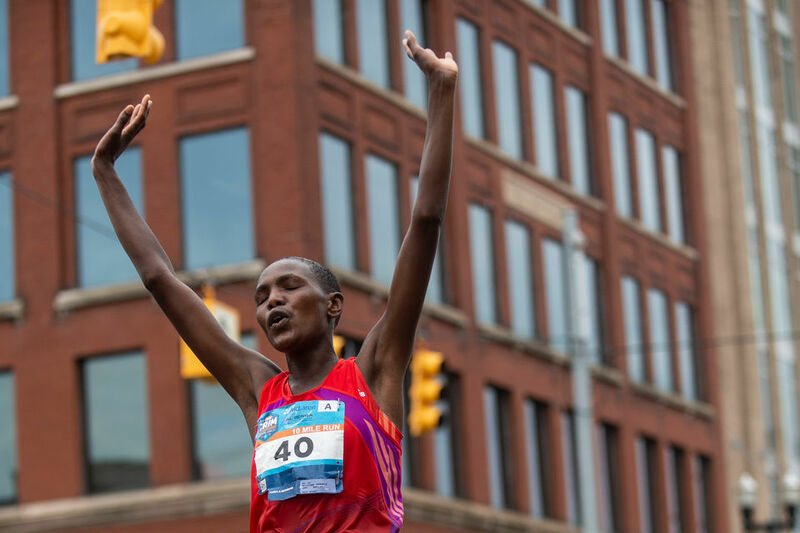 Sunday: Fikadu Kebede To Defend His Title At The Mexico City Marathon The women’s race has eight sub-2:30 women, led by Houston Marathon winner Biruktayit Degefa (2:23:51). September 8-9: Americas Team Named For 2018 Continental Cup Team USA will be well represented in the distance events with Clayton Murphy, Drew Hunter, Paul Chelimo, Evan Jager, Ajee Wilson, Courtney Frerichs and Lauren Paquette on the roster. October 21: Australia’s Commonwealth Games Bronze Medalist Jessica Trengove Joins Field For Toronto Waterfront Marathon Trengove talks about her decision to not train at altitude ahead of her next marathon and the sports underwear manufacturing company she started with her partner.